Traditional Chinese Medicine is a comprehensive medical model that treats the mildest imbalance to complex illness and injury by providing comprehensive wellness care to support your health. It incorporates acupuncture, herbal medicine, manual manipulation or massage techniques, cupping, heating, and diet to optimize your body’s natural healing abilities. Traditional Chinese Medicine is one of the oldest forms of healing known. Acupuncture, herbs, diet, massage and exercise are components of the health care system of China that can be traced back at least 5000 years. Today, acupuncture is widely practiced in the West rendering millions of treatments per year just in the United States. Traditional Chinese Medicine has treated more people through history than all other forms of medicine combined including modern allopathic medicine. Today, acupuncture is widely practiced in the West. In the United States, acupuncture has been taught and practiced since 1978, and the National Institutes of Health have approved acupuncture as an efficacious clinical procedure. Ever increasing in popularity, acupuncture is licensed as a primary health care profession in many states. Acupuncture has been used by millions of American patients and performed by thousands of acupuncturists, physicians, dentists, and other practitioners for the relief or prevention of pain and for a variety of health conditions. There are many theories about how acupuncture works, however, modern research indicates that acupuncture needles stimulate neuro-vascular nodes that in turn stimulate healing processes throughout the whole body, including; increased blood flow to damaged areas, regulation of the hormone and endocrine systems, release of the pain relieving biochemicals such as endorphins, and reduction of inflammation. There is also strong evidence that a proper combination of acupuncture points can regulate the physiological functions of the major organs in the body. The major acupuncture points are located along the lines called meridians that relate to the twelve major organs as recognized in traditional Chinese medicine. 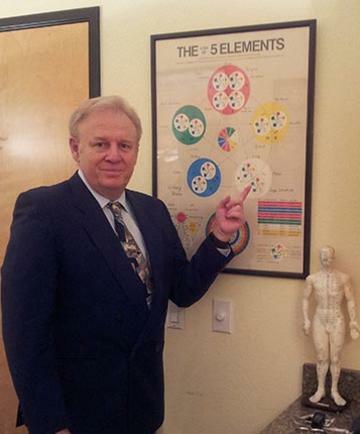 However, there are 2000 additional points not charted on the meridians that also have know physiological effects on the body as well as the use of ashi points, also known as tender points or what is often referred to as trigger points. How Much of Acupuncture’s Effect is Due to Placebo? This is often a question asked by people who are amazed at the effects of acupuncture and have no explanation or understanding of its scientific and physiological basis, however, the fact that acupuncture has been widely practiced in veterinary medicine for thousands of years and is practiced today on animals with great success clearly demonstrates that the effects of acupuncture are not due to any mind or placebo effect. Having noted that fact, it is well established that all forms of medicine have some degree of placebo effect based upon the patient’s faith in the healthcare practitioner they are seeing. Acupuncture, moxibustion, electro stimulation, acupressure and more recently the laser stimulation can all be applied to points selected on the basis of the meridian system. By stimulating the nervous system to balance and normalize the physiological functions, acupuncture promotes the body’s health and ability to fight disease and illness by maintaining a dynamic and harmonious equilibrium in the organ and other physiological functions.